On 17 May 2013, Honda announced their intention to return to the sport in the 2015 season under a works agreement with McLaren to supply V6 engines and kinetic energy recovery system (KERS) units. The Honda engines proved to be unreliable, fuel thirsty, and underpowered, with Honda head calling the engine's reliability problems a "disaster". McLaren split with Honda after three years, with Toro Rosso agreeing to use Honda engines in 2018. Following a fairly successful season with Toro Rosso, the parent team Red Bull Racing agreed to also take on Honda engines for the 2019 season. At the start to the 2017 season, Honda claimed that their engine was "on par with the 2016 Mercedes". However, in pre-season testing, the Honda engine was described as being "unreliable and down on power" by driver and double world champion Alonso, with the lack of power meaning the car was 30 km/h down on the straights . McLaren were very disappointed with the performance of the Honda engine and despite McLaren receiving $100 million per year in budget investment from Honda as well as free engines. McLaren approached rival Mercedes for a potential engine supply. 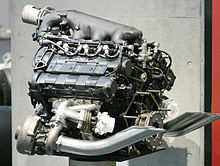 Honda engine chief Hasegawa admitted that Honda had thought that it would be "easy" to develop the engine technology to catch its rivals in 2017, but that in fact that Honda had found that it was "too difficult to achieve the new technology". The poor performance of the Honda engine left McLaren-Honda at the bottom of the Constructors' Championship with 0 points. 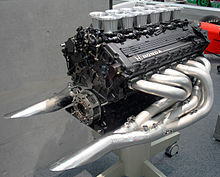 McLaren racing director Boullier described the Honda power plant as "simply, and absolutely, not good enough". The partial engine upgrade was at last delivered to Alonso at the Azerbaijan Grand Prix and the team achieved its first points finish in the season, which was the latest among all constructors. At the Hungarian Grand Prix, Honda hailed its first race in three years without an engine failure. The team achieved the only double points finish in this season. Unfortunately, McLaren Honda's glory days of the late 1980s and early 1990s were not to be relived and the partnership dissolved after 2017. The team finished the season with 30 points in the 9th place of Constructors' Championship. On 15 September 2017, it was announced that Honda will be the engine supplier to Toro Rosso for the 2018 season. As part of the deal, McLaren switched its engine supply with Toro Rosso and is now powered by Renault. Honda stated that the goal was to make Toro Rosso one of the top three teams in 2018. The season started off well for Toro Rosso, with the Honda engine proving to be significantly more reliable compared to previous years. In Bahrain, the team managed to finish in P4, Honda's best result since returning to the sport in 2015. ^ "McLaren sink deeper into biggest crisis in the once-proud team's history". telegraph.co.uk. Retrieved 3 September 2017. ^ "Analysis: How big is the McLaren-Honda crisis?". motorsport.com. Retrieved 2 April 2017.